Heavy metal poisoning, or heavy metal toxicity, is a dangerous condition that causes many debilitating symptoms. It’s caused by toxic amounts of heavy metals that accumulate in the soft tissues of the body. The symptoms vary depending on which metal gets accumulated. In humans, metals most commonly associated with poisoning are lead, mercury, arsenic and cadmium. The detox process is not a simple and quick one. It requires the right professional guidance or you might suffer further health problems. We are exposed to heavy metals and chemicals on a daily basis. They slowly accumulate in the body and might start presenting with symptoms we don’t initially associate with toxicity. Some people are more prone to developing heavy metal toxicity either because of their lifestyle (e.g. exposure to toxins, diet) or genetic predisposition. It has been established that almost half of the population carries a mutated Methylenetetrahydrofolate reductase (MTHFR) gene and enzyme (some people are even born without it), which makes them less able to process toxins and detox naturally. These people will show symptoms earlier and they need additional support to be able to get rid of the ill effects of pollutants. When it comes to detox from heavy metals, exercise caution and don’t attempt any dramatic approaches. For many, expert guidance, that will take into consideration their individual characteristics, is a must. This article provides some basic detox suggestions and can be a starting point for your future explorations. Long-term success will often depend on the ability to identify the source of your poisoning. You can follow all the protocols you want, but if the source is not eliminated, you’ll just carry on poisoning yourself. Mercury poisoning, for example, is most often caused by consuming contaminated fish and seafood, or according to some sources having mercury dental fillings (mercury amalgams or silver fillings). Your first step should be to stop eating fish that is questionable or to change your fillings (according to some sources). For the latter, be extremely careful to get a properly qualified dentist as amalgams need to be extracted correctly. Many consider a regular detox a part of their life regimen, and it can indeed improve one’s health and body condition. You may also want to detox your body if you have these top signs that your body is toxic. Detoxes and fasting have become increasingly popular and fashionable, but that doesn’t mean that they are a cure for everything and everyone. Some more extreme approaches can be unsafe and push an already tired body over the edge, so choose the right place, time and protocol for your needs. It’s definitely a good idea to try and remove metals from your body before you become plagued with symptoms of poisoning, ranging from fatigue and mental health problems to central nervous system damage. Anyone with already developed symptoms can use a detox to help resolve them. According to Dr. William Blahd, chelation therapy uses special drugs that bind to toxic heavy metals in your blood. Once the drugs bind to the toxic metals, your body excrete them through your pee. Use cilantro (coriander) in conjunction with chlorella. Eating cilantro alone can cause a huge mobilization of heavy metals the body cannot handle. Thus, adding chlorella will help eliminate the bigger loads. Some studies have suggested that the combination of cilantro and chlorella can naturally remove an average of 87% of lead, 91% of mercury, and 74% of aluminum from the body within 42 days. Again, you need to involve an expert to make sure you design the right protocol for yourself. 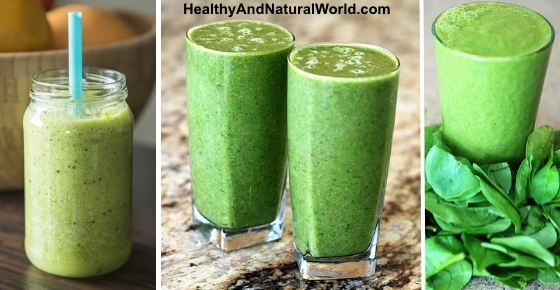 Eating chlorella can help you detox. Chlorella is a potent detox agent for mercury and other heavy metals. Animal studies showed that mice eating chlorella together with methylmercury improved their ability to excrete mercury twofold compared to those that didn’t consume it. It’s best to take chlorella in the morning and do it regularly. Some experts suggest starting with a smaller dose (500 milligrams) and then building yourself up to 4 grams a day, so that you receive the full detox benefit. Purchase a product of a good quality that your body can digest – digestible forms of chlorella usually carry a description ‘broken cell wall’, which indicates that chlorella was made digestible by breaking its indigestible cell membrane. You can purchase chlorella at your local health store but make sure that you purchase raw and organic chlorella like this one. I’ve previously written about the powerful healing properties of chlorophyll. Chlorophyll helps to detoxify your body by connecting with the toxins and free radicals and turning them into neutral materials. Studies have shown that it helps in detox your body from heavy metals, pesticides and industrial pollutants. In order to retain maximum chlorophyll in food you should eat it raw or cook/steam it slightly. If you can retain the green color, you will retain the beneficial chlorophyll. Chlorophyll is found in all green vegetables. The darker the green, the more chlorophyll it has. Drinking green smoothies is also one of the 70 habits featured in my e-book 70 Powerful Habits For A Great Health which will guide you how to take positive steps to improve your wellness and overall health. You’ll find that consuming water is going to play a big role in your daily detox. This is because water not only help transport vitamins and minerals throughout the body, but also flush the toxins through the organs more efficiently. Water is by far one of the most important daily habits for detoxing every day and is also one of the top 10 ways to detox your body. Fish absorb heavy metals from polluted waters and can be heavily contaminated by the time they reach your plate. Bigger fish, such as tuna, king mackerel, shark and swordfish, are particularly problematic. Most fish and shellfish contain traces of mercury, but the concentration gets higher when the fish is older and larger and of a predator type. Since fish is our best source of omega-3 fatty acids, you’ll need to carefully weigh up the pros and cons of fish consumption and choose your fish wisely. Eat as much organic fruits and veggies as possible. Eat lots of dark, leafy greens such as dandelion, mustard, collard, beet greens, spinach, kale, watercress, bok choy, escarole (endive) and Swiss chard, and get a good source of dietary vitamin B (sunflower seeds, eggs, walnuts, almonds, whole grains and asparagus). Also, enjoy some probiotics, so you can absorb the nutrients and vitamins that will protect your body. If possible, eat organic meats, poultry and eggs, so you avoid ingesting antibiotics and hormones. You may also want to read my article on how to detox your body with these 8 leafy greens. As mentioned before, some sources claim that you need to consider your dental work and talk to your dentist about the possibility of replacing amalgam fillings. Be aware that some vaccines still contain mercury (mercury-based preservative thimerosal). See if there is a thimerosal-free alternative available. Avoid heavily polluted areas as much as possible and drink filtered water. You might not be aware of some sources of heavy metals. Old paint, for example, was often made with lead and is still found in many places; it can become problematic if the walls are chipping. You can get more information about detox in my e-Book The Detox Guide. This e-Book will help you to discover the most effective methods to neutralize harmful toxins from your body. If you are concerned about a specific heavy metal poisoning, get tested. And remember, this will not get fixed overnight. The process should be a slow one, and some people might need a few years to get rid of all the toxins.